Do you think you might be ready to switch to LED lighting in your home? Maybe you’ve been interested in saving money, or perhaps you’re hoping to reduce your carbon footprint. Whatever the reason might be, if you want to transition to LED lighting, you should do a little research before you dive in. Energy efficiency — LED lamps are about four times more efficient than traditional incandescent light bulbs. Save money each month with a lower electric bill. Long Life — These bulbs have an incredibly long life. The many LED bulbs can provide up to 50,000 hours of light. Environmentally Friendly — Unlike compact fluorescents, LED lights are made with non-toxic, recyclable materials. How Should You Begin the Transition? Start with a small project when you decide to switch to energy efficient lighting. Think about transitioning one or two rooms at first and then switching to LED bulbs in the rest of the house. Choose a room or two that you use most often and change out those old bulbs for the newer technology. When you’re picking new LED bulbs, look at the color temperature for the lamp. Warm/SoftWhite bulbs (which come at a Kelvin temperature between 2500 and 3000K) are great at replacing incandescent bulbs and offer a inviting and comfortable atmosphere. They’re perfect for reading and relaxing. Cool, Bright White bulbs (with a Kelvin temperature between 3500 and 4100K) are a good choice in commercial offices because of the bright, clean light they give. Daylight/Natural bulbs (the coolest bulbs, at 5000-6500K) give off a crisp bright light that is good for outdoor or industrial applications. In the end, the most important thing to remember when buying LED light bulbs is to do your research. 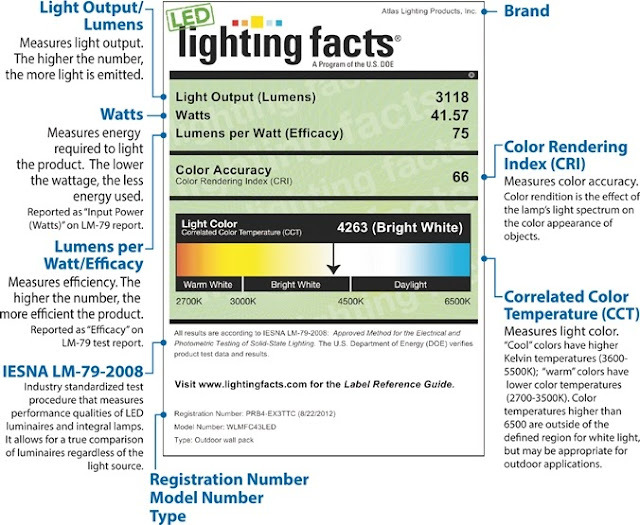 Be sure to find a reputable manufacturer who offers a lighting facts label so you can find the right light bulb for your home. Have questions about LED light bulbs? Leave us a comment and we’ll help! If you are looking for LED lights for your home, then you are taking a very good and wise decision as it is helpful to save money. I have also replaced my all home;s light fixture with LED lights. I have used declarative small colored LED lights in bedroom and hall.